All our Christian readers and especially our Mennonite readers should be up in arms (I’m not sure how Mennonites do that, but you get the point) about Donald Trump’s hateful comments about African nations, Haiti, and El Salvador. 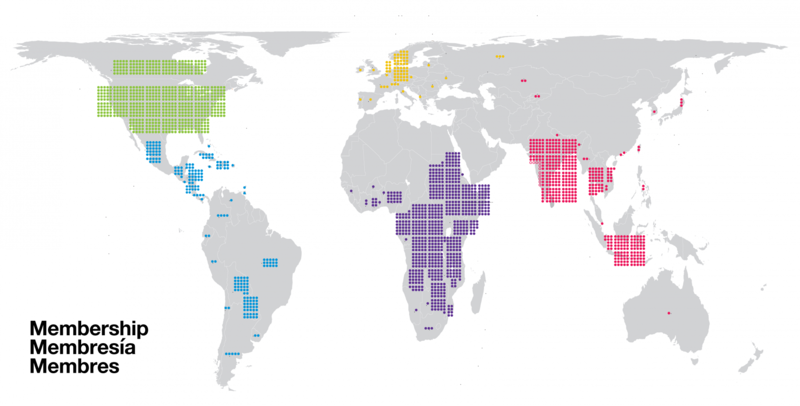 The Mennonite church is now centered on Africa and Latin and South America. It’s not just that the future of the church is in these parts of the world: the present of it is too. There are just over 500,000 baptized members of Anabaptist churches in the US. Twenty-three African nations have Mennonite communities, including more than 200,000 people in the Democratic Republic of Congo alone. And if you look at the obituaries in The Mennonite or other Mennonite publications, you see that we North American white Mennonites are not repopulating. Folks dying in their 80s and 90s now had a dozen siblings, half a dozen children, and half a dozen grandchildren. In contrast, the UN predicts that Africa will be responsible for half of the world’s population growth between now and 2050. Obviously, not everyone born into a Mennonite family chooses to become Mennonite, but the odds are that, just on birth rate alone, Africa and South and Latin America will continue to be the global home of Anabaptism. Above, the Mennonite World Conference’s map of global Anabaptism, using data from 2015. Besides that, Africa and South and Latin America and other places where imperialist powers have historically extracted and continue to extract labor and resources–these are the places where Christianity is growing. The people of these places keep Christianity alive at all. If it was up to the wealthy nations, we would have no faith. Next Next post: “Slavery is freedom” for many conservatives.